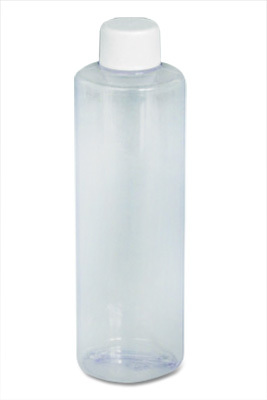 High density polyethylene bottles are clear for easy content identification. Clear PVC style is more rigid. Standard style, white, fine-ribbed cap is included. 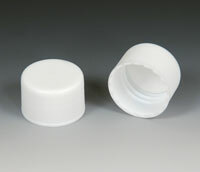 Cap size for 8 oz. bottle is 24/410. Bottles and caps meet FDA specifications. Replacement caps sold separately.